This will be our 3rd year for this event! 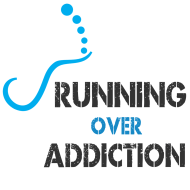 Running Over Addiction is held to raise funds for the West Branch Drug & Alcohol Abuse Commission, which provides services to those who live in Lycoming & Clinton counties. The Commission provides valuable prevention services as well as treatment to those who are fighting addiction. Location: South Williamsport Park Complex, 545 E. Central Ave., South Williamsport PA 17702. All participants that complete the Half Marathon will receive a finisher’s medal. Awards will be given to the Overall Top Male & Female in the 5K and 10K. We will also have awards for the top 3 Male & Female (5K & 10K) in each of the following age categories: 12 & Under, 13-15, 16-19, 20-29, 30-39, 40-49, 50-59, 60 & Over. Many of the organizations in our community that provide services related to addiction and recovery will have tables set up at the park before and during the race. Please take time to learn about these valuable resources.